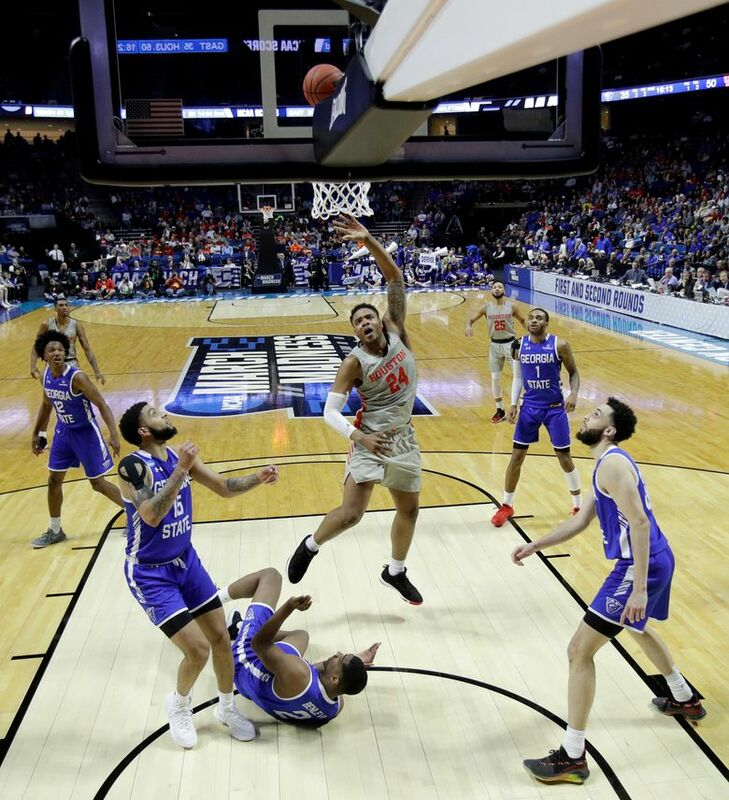 Houston gets comfortable in NCAA tourney, routs Georgia St.
TULSA, Okla. (AP) — It’s beginning to look like old times for Houston in the NCAA Tournament. Corey Davis scored 26 points to help the third-seeded Cougars beat Georgia State 84-55 in the Midwest Region on Friday night. 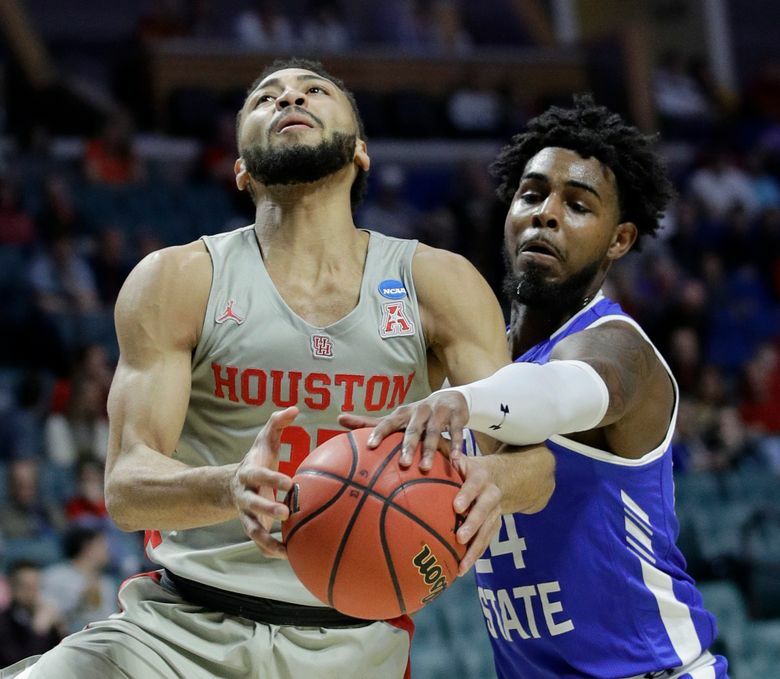 After reaching the national final in 1984, Houston went more than three decades without winning an NCAA Tournament game. 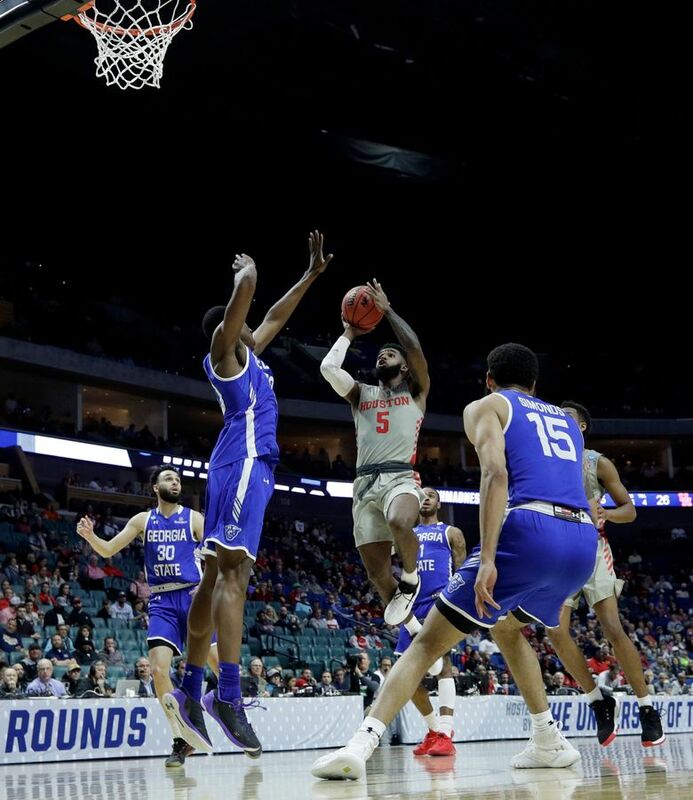 Now, the Cougars have tourney wins in back-to-back seasons and are starting to resemble the program that has five Final Four appearances and produced stars including Elvin Hayes, Clyde Drexler and Hakeem Olajuwon. 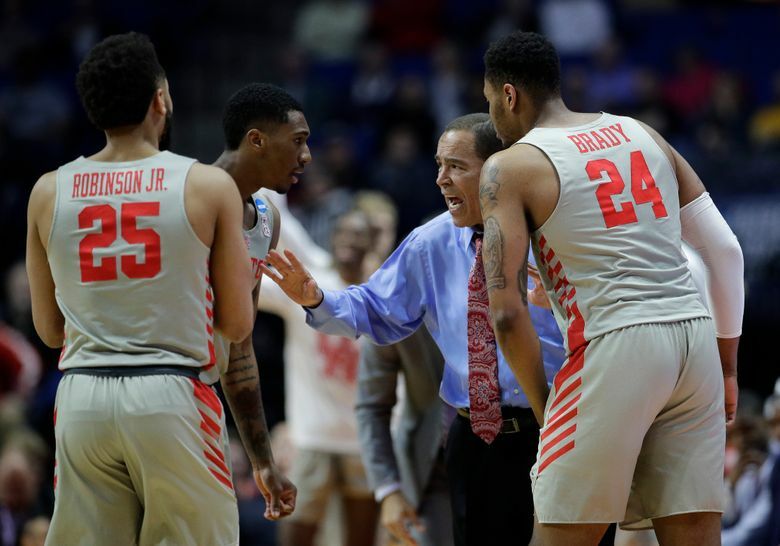 Houston coach Kelvin Sampson said it’s too early to worry about his team’s place in history. 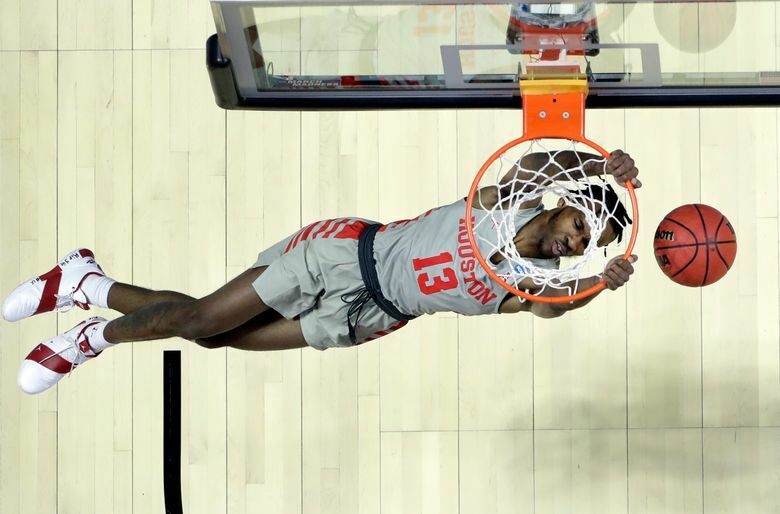 Fabian White had 14 points and 11 rebounds and Breaon Brady added 13 for Houston (32-3), which will face either Iowa State or Ohio State on Sunday. Houston rolled out to a 15-3 lead in the first five minutes, and the rout was on. The Cougars shot 52 percent to lead 40-31 at halftime, and then opened the second half on a 10-2 run to put the game out of reach. D’Marcus Simonds scored 18 points for No. 14 seed Georgia State (24-10), which received an automatic bid as the Sun Belt Conference Tournament champion. 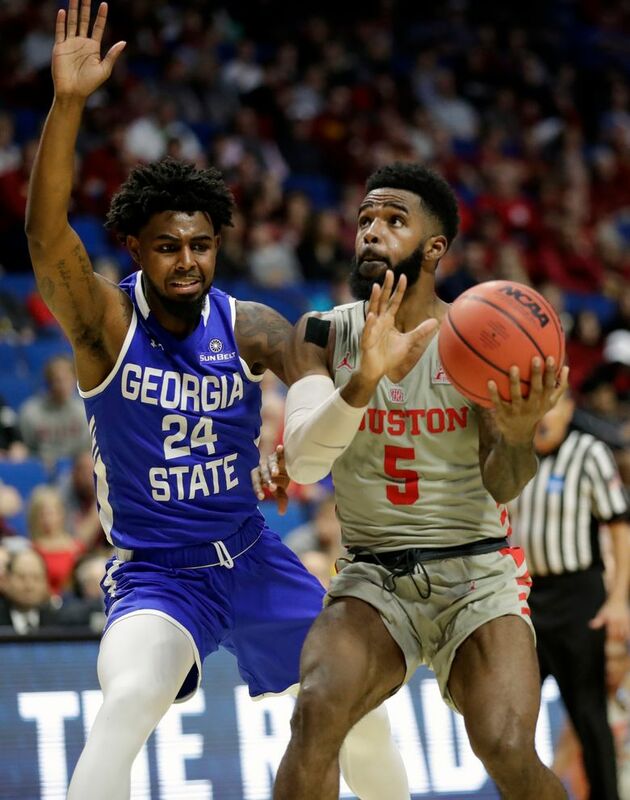 Houston held the Panthers to 30-percent shooting, an impressive effort against a squad that entered averaging 75 points per game. Hunter couldn’t lead his Panthers to an upset like their stunner over Baylor in 2015, but he said that takes nothing from the season or his program’s future. 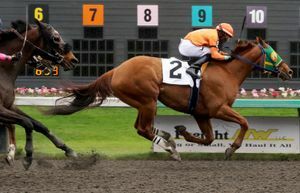 Georgia State: Hunter has a rebuilding job ahead. Simonds, the team’s top scorer, said he’s likely leaving for the NBA. The next three leading scorers — Devin Mitchell, Jeff Thomas and Malik Benlevi — are seniors. Houston: The Cougars played like a team with NCAA experience. Whenever Georgia State made a run, the Cougars had an answer, and they didn’t let up. Houston outscored the Panthers 44-24 in the second half. Houston outrebounded Georgia State 51-27. It was the fifth time Davis scored at least 26 points in a game this season. 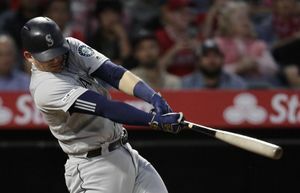 He scored a career-high 31 on March 10 against Cincinnati. Houston awaits its second-round opponent.